We can help you envision the perfect garage door using our Design Center, which allows you to preview different custom design options. Window shapes, panel designs, colors, and materials can all be previewed in the Design Center. See if the look of real wood really does justify the extra expense and maintenance. Don’t forget to accessorize with decorative hardware, especially if you are designing a Spanish or Mediterranean style wood door. You’ll need iron handles, hinges, and door straps to complete the look. 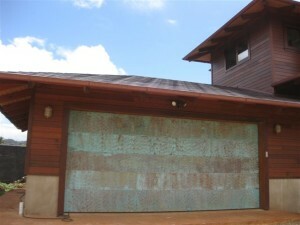 High-quality custom garage doors Chatsworth CA require high-quality, professional installation. Incorrect installation can damage your garage doors or garage door opener system over time. For example, the door has to be balanced properly if it’s going to raise and lower evenly. If it moves unevenly, over time the door can become damaged. Carroll Garage Doors can help you get the high-quality install that your custom garage doors need and deserve. Our rigorous training means that our technicians have the skills and expertise needed to install your new garage doors correctly.